Well, we made it to March and we are not supposed to have any more snow today. So is it coming in like a lamb or lion? I am hoping it goes out like a lamb but I guess we shall see. :-) Today's image goes back to Minnesota and warmer days. 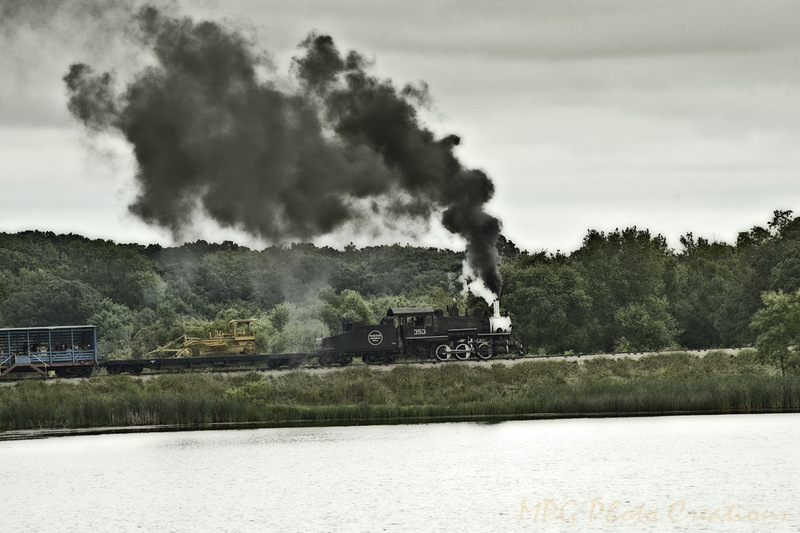 This is locomotive 353 on the shift before mine pulling it's train up the beginning of the steepest grade on the railway at the Steam Thresher's reunion in Rollag, Minnesota. The smoke is black at this time due to the particles from the coal that would have just been thrown on so the train can make it up the hill with no more firing. If you open the door to put more coal in while it's working hard you can cause the water tubes to warp because of the cold air coming in. Therefore before we start up this hill we try to make sure it has a good bed of coals and then hope we have done a good job and end up with good pressure still at the top.